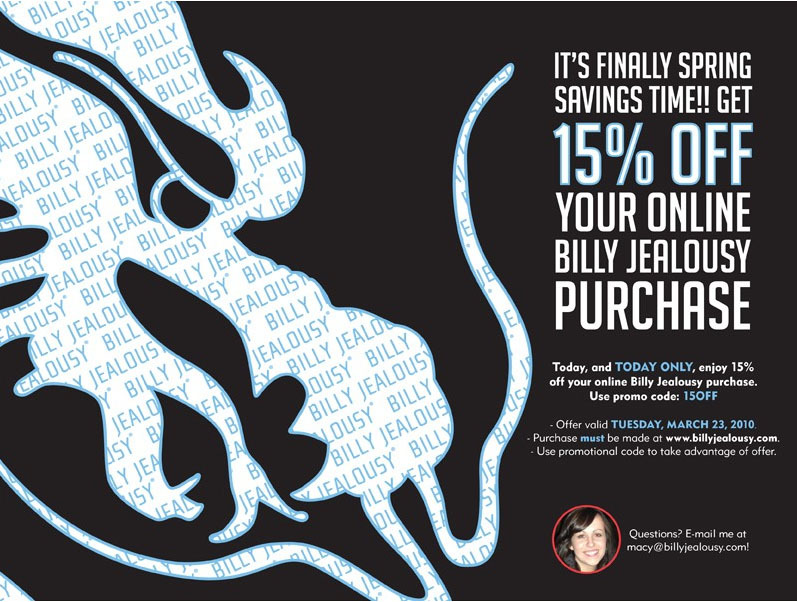 For one day only, today, Billy Jealousy is offering 15% off your online purchase when you use the promo code “15OFF” during checkout. I’ve had the opportunity to try many of the products. Among my favorite are the HYDROPLANE Super-Slick Shave Cream, named “Best Shave” by Esquire; WHITE KNIGHT Gentle Daily Facial Cleanser, named “Best Facial Cleanser” by Instinct; and ILLICIT Body Wash. If you’re new to Billy Jealousy and want to start with a sampling, checkout the WANDERLUST Travel Kit. It contains five products – a body wash, shampoo, cleanser, shave cream and hair gel – all for $36. Factor in the 15% savings and you’ll be the grooming envy of all your friends. Disclaimer: Samples were received in exchange for editorial review.